Having moved home recently, I realised I had left a lot of my makeup in my flat until I was going back to pick all my stuff up and one thing I quickly realised I hadn't brought home was a darker foundation to wear when I have tan on (or more correctly, when I'm going on a night out and don't want to look like Casper the ghost!) so I decided to take a trip into Superdrug to just pick up a more affordable one whilst I was home. 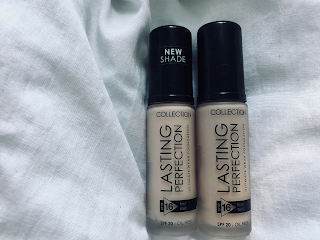 I picked up the Collection Lasting Perfection Ultimate Wear Foundation as it was only £5.99 and I have always used the matching concealer. 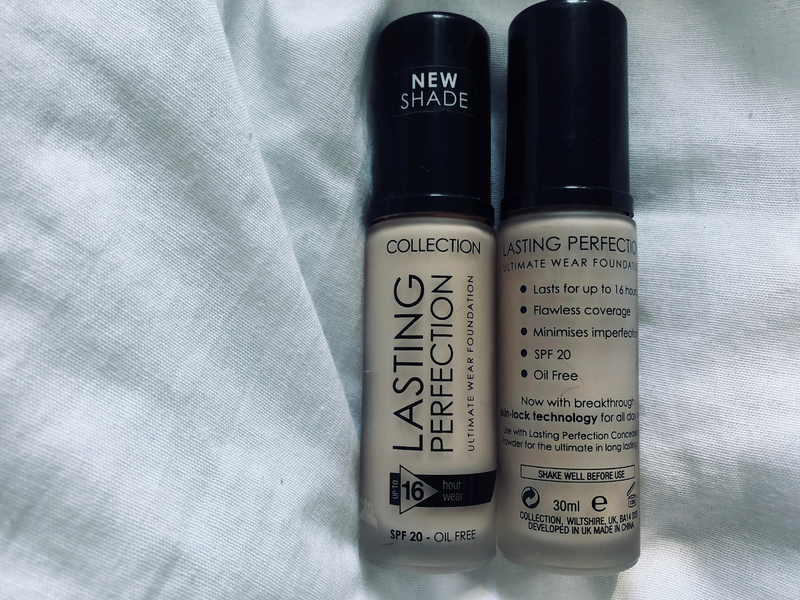 The foundation claims to last up to 16 hours, flawless coverage, minimises imperfections, oil free and has SPF 20 which I know most people don't want an SPF when they're going out and might take photos but I've never really found a problem with it. The first time I tested this foundation out was on a night out but I done my makeup quite early just in case it didn't sit well or creased badly but I was actually surprised that before I even went out, and having it on for around 5 hours, the foundation still looked pretty perfect. I wouldn't say it is a full coverage foundation but it is definitely a medium coverage and can be built up without feeling or looking cakey. It has a demi matte finish and actually sits really nicely on my skin and around my nose where I usually have the most problems with foundation. 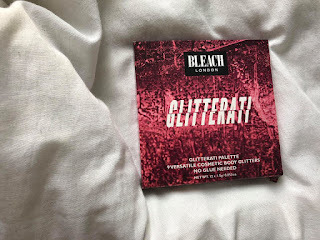 I wore this the whole night and only had to touch up with a little powder around my nose and chin which I don't mind as it was warm anyway so the foundation held up pretty well. 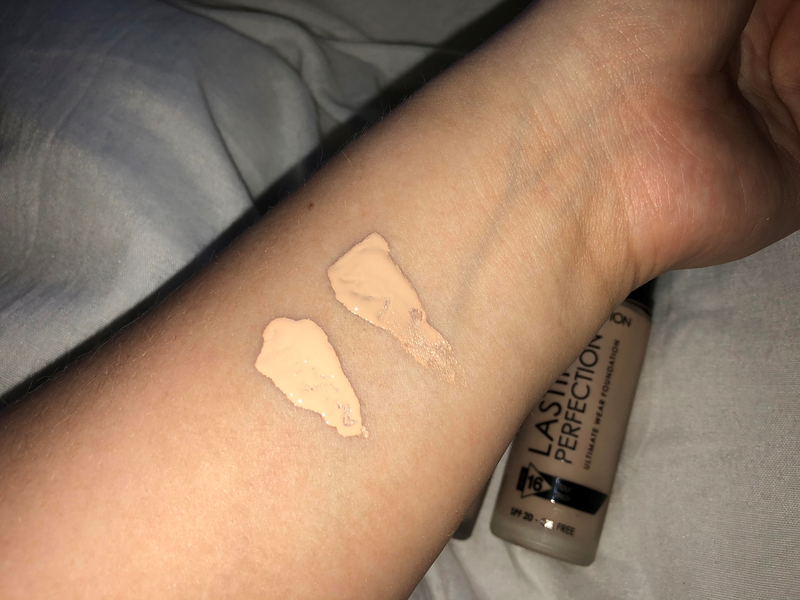 Having really liked this foundation I began wearing it more often going out and every time it continued to impress me with how well it held up all night but also how it made my skin look. 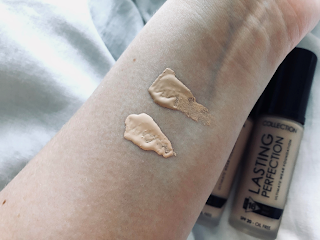 The foundation, as it is quite a runny liquid, sits so nicely and makes your skin still look like skin without looking like it is caked in makeup. I even wore this to a festival where I had it on for around the 16 hour mark and it still looked amazing at the end of the day. As I have been really liking it I decided to pick it up in the palest shade so that I could wear it on an everyday basis. I like to use barely half a pump from day to day and just apply a light amount so that it just evens out my skin and covers any blemishes. I work in quite a hot environment as well and find it stays on all day without needing to be touched up whilst I'm in work so I am definitely impressed! I will more than definitely be purchasing this again when I run out, especially for the affordable price of £5.99! I've even still been reaching for it now despite having all my makeup back home with me as I just really like how it's been looking. I would definitely recommend this to anyone looking for an affordable foundation,, and I have combination skin but I think this would work on any skin type except for really dry maybe as it sits more matte. 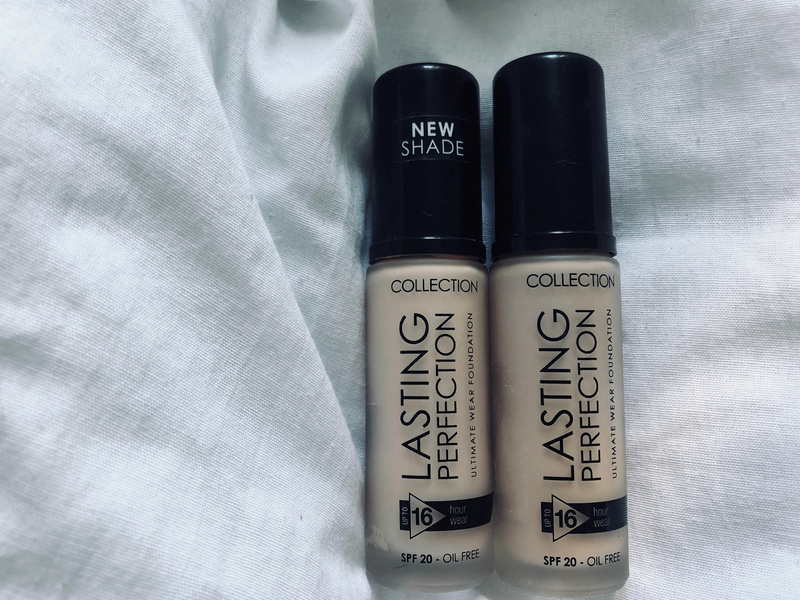 However, the only bad thing is I know they don't have a very wide shade range which is really disappointing considering how amazing the foundation is.